After Google announced its plans to shutter its Google Reader RSS service on July 1, a bevvy of dedicated users suddenly found themselves without a way to conveniently track subscriptions. A handful of other sites like Feedly and Digg offered up new solutions, but now another internet giant may be testing the waters for an RSS feed of its own. According to TechCrunch, new application programming interface (API) coding has appeared on Facebook, giving the impression the social network might be eager to snap up those users about to be abandoned by Google in a few weeks time. Lines of code with the phrasing "rssfeeds" first appeared in Facebook's Graph API, and indicated the RSS info would be tied to a user's Facebook ID. Those uncovered lines also feature information about title, URL, time of update, as well as coding for entries and subscribers. When the developer who discovered the code tried to run the data through Facebook's API Explorer, he was met with a warning message that stated the features were restricted to whitelisted addresses. Since the code can't be seen by anyone that Facebook doesn't want to see it, there's no way to tell if this would even be an actual RSS feed, or if the information would be limited to Facebook's content or would incorporate outside sources. 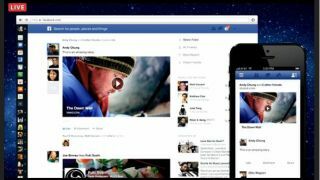 Facebook previously had an RSS subscription option for Pages, however that feature was phased out at the end of 2012, which was around the same time Facebook updated its Timeline. There's a chance Facebook might debut its new RSS features next week, as the social network has scheduled an event for next Thursday, June 20. The invite claimed a "big idea" was coming, and with July 1 rapidly approaching, it certainly would make sense to get potential users hyped for the new service before Google shuts Reader down for good. TechRadar reached out to Facebook for more on its possible RSS practices, and will update this story when we learn more.